You must make reservations at least 5 minutes in advance of the time at wa'z. If you would like to book the restaurant for a private event, please call or email us for more details. 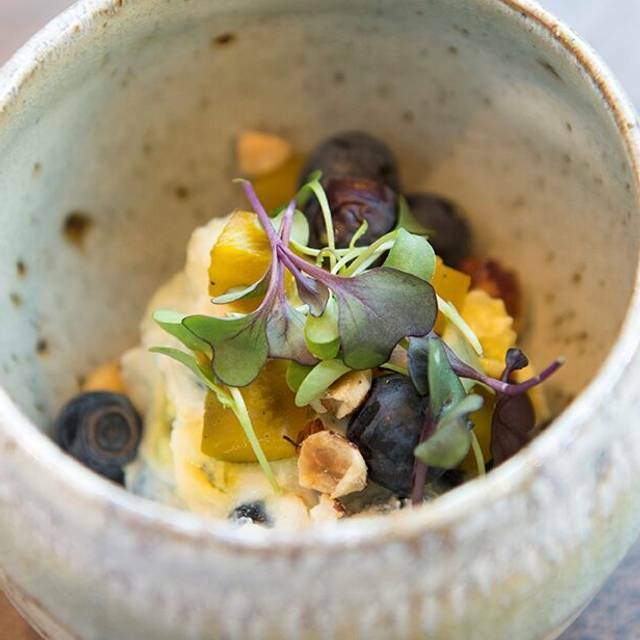 wa’z is a Japanese Kaiseski restaurant that distinguishes its menu with a modern Northwest Kaiseki tasting of artful, seasonal fare. We serve a 9 course tasting menu available either at the chefs counter or at the regular dining table. We also have a temaki lunch set available on Saturday and Sunday during lunch time. Please be aware that the dining table is named “high top table “ on the reservations. Legit Kaiseki from Kyoto. 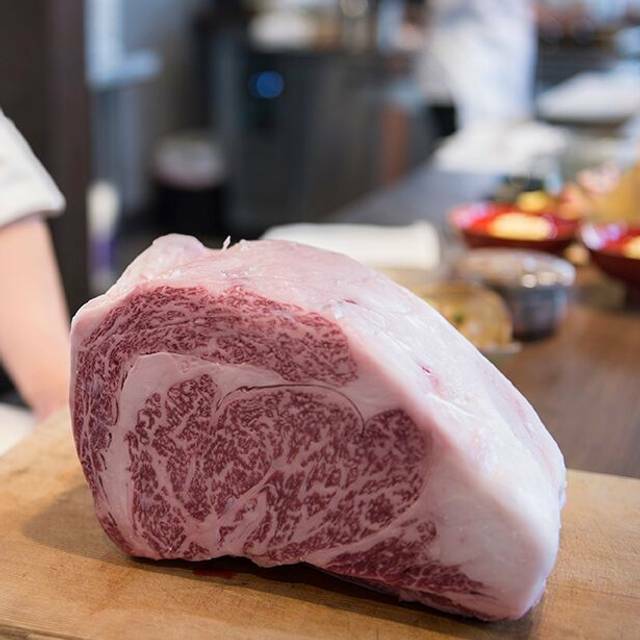 Immense efforts and heart are poured by Chefs led by Hiro san in producing fine cuisine and art here. For the April menu, I especially liked cured leaves which were prepared one year ago with an extremely low yield in Hassen and ice cream. Delicate taste and beautiful presentation beyond words. A must try. The experience was magical. The chefs performed directly in front of us, preparing dish after sublime dish. Each course was unique, delicious, combining fascinating flavors and textures. They explained each dish, telling us the ingredients and concept. The sake selection was fabulous and they did an excellent job of recommending the perfect match for the dishes we were consuming. The pace of service was perfect; never rushed, but offering the dishes at the rate that guaranteed us plenty of time to absorb each exquisite set of experiences. It is an expensive experience, but provided an evening commensurate with the cost. If you like Japanese food you must try this True Japanese delicacy. Excellent meal. All dishes were prepared beautifully and tasted fresh and clean. I had decent Kaiseki in Kyoto and this restaurant is comparable to that. 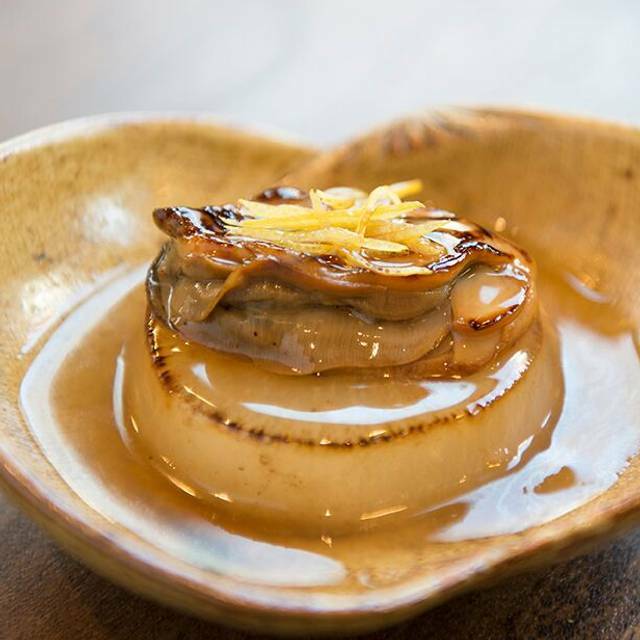 It is true Japanese Kaiseki with a local touch. Recommend for anyone who likes fine Japanese cuisine. Of course as any Kaiseki place, the price is a bit on the high end but I think it’s well worth it. Oh and, if you sit at the counter, you can see the chefs making the dishes and explain what each dish is. Fantastic food experience was awesome and service. Very friendly service, food was delicious and creative. Really enjoyed the experience and would definitely recommend. Had a wonderful experience celebrating my Brother's birthday over a Kaiseki dinner last night. Food presentation and quality were on point. Especially appreciated the Chefs taking the time to explain what each dish was and the meaning behind the presentation and use of ingredients. Extra points for the Chefs going above and beyond decorating a plate with the words "Happy Birthday" using sugar for my Brother's dessert. Price point is definitely a little on the higher end, but would still recommend for a nice Kaiseki experience. Worth it! Food and service were amazing. I highly recommend. This was my second time at the restaurant and the ambiance was not the same. The first time had a professional atmosphere where the cooks were concerned about the food and providing the best experience for the clients. This time, the cooks were chit chatting during the dinner course and the handling of the food lacked professionalism. When cutting the fish, the cook seemed to grab any knife available instead of a standard sashimi knife and they openly asked "is this your first time cutting fish?" in front of the clients. Overall, the restaurant's charm lied in the quality of ingredients, the handling of the ingredients, and the ambiance of care and concern for the clients. The quality was there but the handling and ambiance was not the same as before. Treated myself to a dinner date and decided to try some Japanese cuisine that wasn’t sushi or ramen. Servers were very attentive, although chefs weren’t quite as engaging with those of us at the counter as i wish they could’ve been. The portions were smaller (usually a few bites for each dish), but I probably finished my meal a comfortable 75% full. While the concept of kaiseki cuisine was unique, I don’t feel it was completely worth the price charged. 9 courses was $110, and with tax and included 20% tip, the food bill for a single person comes to about $145. The food was tasty, but for the price, i didn’t fee as “wow-ed” as i was expecting to. Overall a good and unique experience, and I’m glad i tried it, but I don’t think I would make this a go-to special occasion restaurant. Such an amazing experience on visual, taste, and explanation of each dish served. It's pricy but worth it especially for once in a lifetime experience or any special occasion. Waitress and chefs we're very friendly and asked any questions you may have on any dishes or origin of the food. Again highly recommend to anyone. Great food and service. Everything is perfect except for the price. Well, for this kind of restaurant, that’s what you’d expect so no complaints at all. We visited this restaurant for our first anniversary. The food was great! 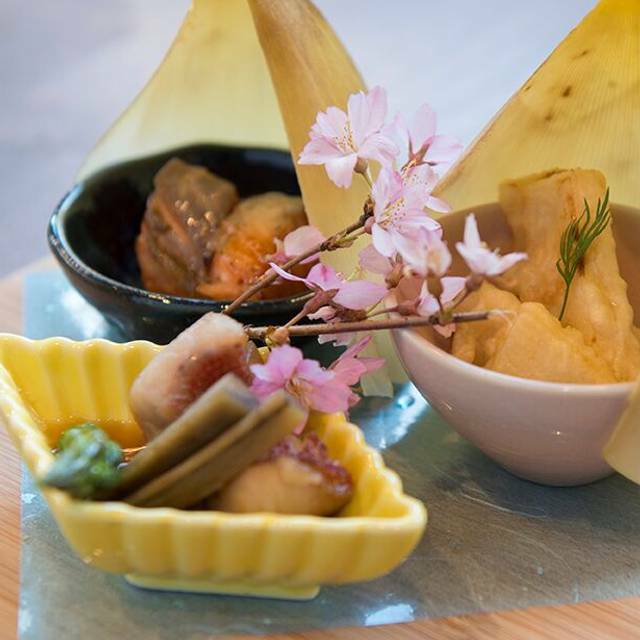 A lovely seasonal tasting menu with inspiration drawn from Japanese tradition. Really looking forward to visit again to experience what another month has in store. Unbelievably good food. This combines wonderful Kaiseki with quality on par with what I've had in Kyoto along with PNW adaptions and ingredients. The food was amazing. Every single course was great, tasty and creative. The food tastes authentic, yet with a little bit of twist. The presentation was equally amazing. I loved all the dishes. My husband and I brought our friends. They enjoyed the experience and the food. This is definitely a good place to entertain your guests or treat yourself with good foodZ. Fantastic to have an authentic Kaiseki experience in the Pacific Northwest, complete with locally available ingredients (the geoduck was the best I have ever had)! Service was fun and comfortable! Overall food was very good - perhaps just a bit shy of meeting the mark given the price. Overall though, a great experience. We really enjoyed our Kaiseki experience. 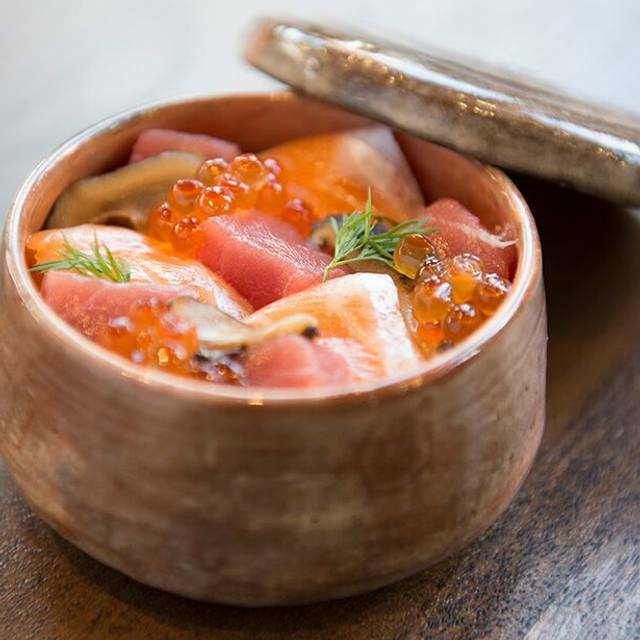 The January menu was inspired by Japanese New Year traditions. I really enjoyed the chef explaining each dish to us. We did the premium menu chef counter service. 9 courses for $110 may seem steep to some but it’s also about the experience. Would totally go back. Left fully satisfied. My only complaint is I thought the rice dish could use a little salt. Amazing food, great service, wonderful experience. Definitely try this place, it's worth it! Worth every penny! Such a wonderful experience, the hospitality was very authentic to what you see in Japan. The food was beautifully plated, and they teach you about the history of what you're eating along the way. 10/10 would recommend, thank you w'az team! Really fun and delicious experience sitting at the chef's counter. Really flavorful and beautifully presented kaiseki, with great service. I am coming back. I will open a savings account, call it 'W'az fund' and find random excuses to eat here such as Anniversary of Adopting Pet Fish. Ah, a great W'az occasion! Loved the food and seasonality of it. Beautiful and inviting. Food and presenations are creative, and excellent service!! Wonderfully tasting and creative monthly menu featuring both imported and local meat and fish. Bar seating is great for dates. Thoroughly enjoyed our two hour dinner there. This restaurant is absolutely exceptional !!! Quality of food, service. Everything is 5 stars. We really had high hopes for this place. The food was very underwhelming. It lacked creativity and flavor, and it is not worth the price. I understand the simplicity of Japanese cuisine. However, the flavor profile across most of the dishes was very bland. The only thing we enjoyed was the tofu in the first dish. Also, I really did not appreciate that one of the dishes was a very basic tempura and soba that looked and tasted like it was prepared by any random and inexpensive Asian restaurant. We came here for quality, craft, and uniqueness, and we found none of it. The experience sitting at the counter was amazing. Each dish was unique and delicious. The chefs took the time to explain each dish and the staff was extremely attentive. One of the best and most delicious dining experiences of my life. 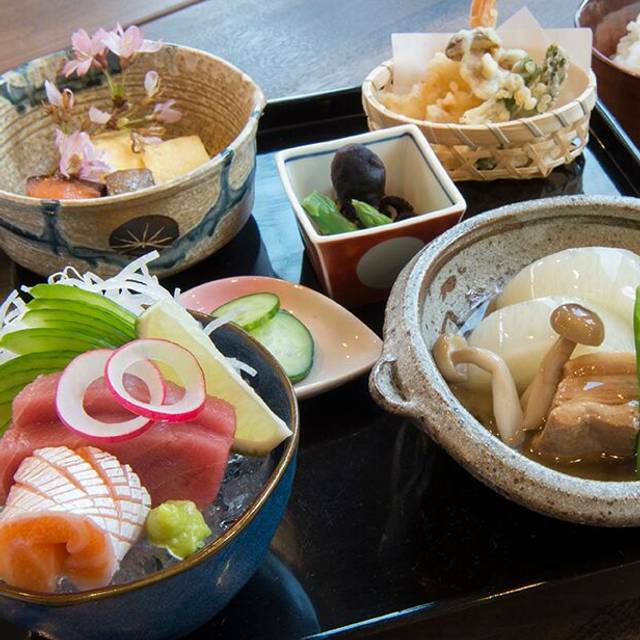 Neither traditional nor authentic Kaiseki Ryori at all. But I searched on line there were many people suggested this restaurant as Kaiseki. I don't know is it a kind of ads or bias of conformity. Stale Sashimi and hard sushi，even the inferior strawberry fook. THE ONLY COURSE THAT I SATISFIED WITH WAS THE FIRST APPETIZER TOFU. All the others were really a waste of my time drove from Vancouver to Seattle particularly for Wa'z. By the way, i would like to give a fundamental suggestion for trying to be like Kaiseki Ryori, each course should change the corresponding tableware since the taste of previous course will stay on the chopsticks and probably destroy the next one. This place is great in every way. The sake was smooth and worth it. A bit pricey. 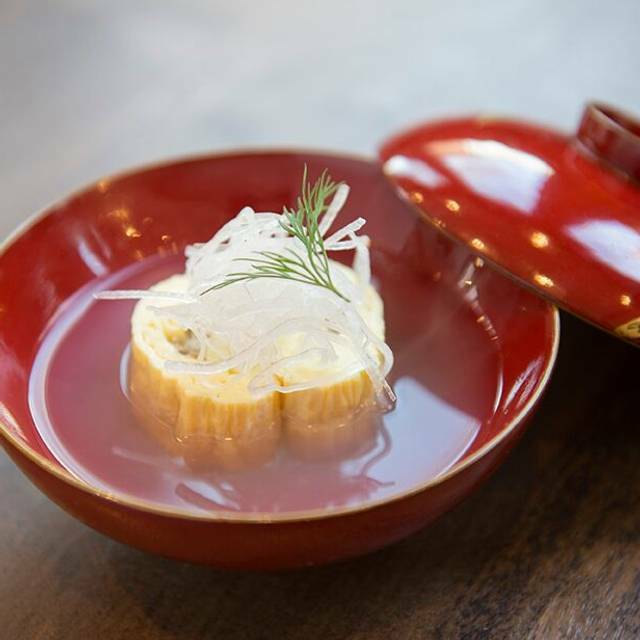 Wa'z serves Kyoto style Kaiseki cuisine with a creative twist using Northwest fresh ingredients. It is always a treat to dine at the counter, with Hiro-San who is the head chef and owner of the restaurant. The menu changes monthly, with a theme which is seasonal and festive at the same time. Great thought is given to assemble each dish, from the presentation, to the quality of the food and taste (with choice selections of the freshest ingredients), the colors of the different compositions, and the garnish, all in perfect harmony, sometimes with a kick (a delicate touch of yuzu flavored spice). For me, it is always a feast not just for the tummy, but the eyes and the mind, sometimes whimsical, and sometimes stimulating imagination and a sense of nostalgia (of travels to Japan), not just my taste buds. Hiro-San never disappoints. The cuisine gets better each month. I look forward to going back each month because I am so curious what Hiro-San would create....it's addictive! 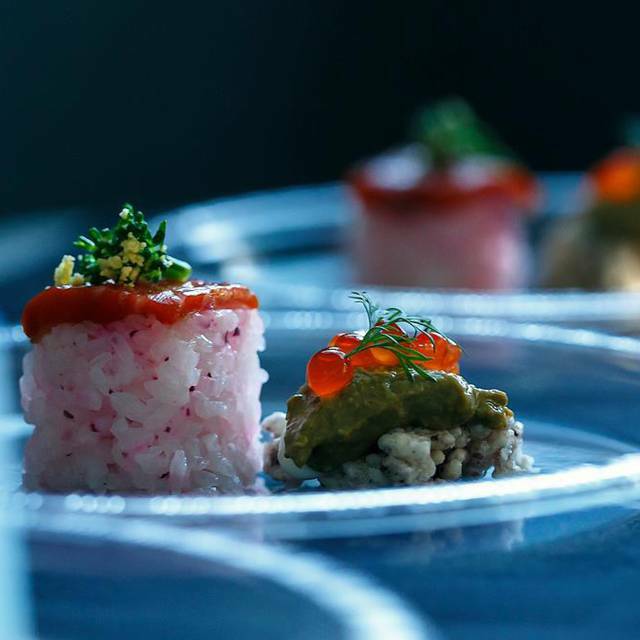 Seattle is very lucky to have thoughtful, authentic kaiseki cuisine available. The menu changes monthly, and the seasonal evolutions are fun to watch. A must-try. Having lived in Japan for ten years, and having married a Japanese man, I have very distinct likes and dislikes when it comes to Japanese food. I also know that, even in Japan, kaiseki cuisine is not something you would be able to enjoy on a regular basis. I was thrilled that the opportunity to do so not only became available in Seattle, but in time for my husband and I to commemorate a significant anniversary. Neither of us were in any way disappointed. This restaurant, its food, and its staff are all stellar! The head chef was extremely personable and was able to answer our (admittedly detailed) questions about techniques and ingredients, and he did so in ways that reflected our own deep appreciation of the wonders we were eating. We very much need to save up again to be able to enjoy this incredible place again as soon as possible. Exquisite! Subtle, sophisticated, balanced, traditional, wonderful... What a wonderful experience Wa'z was for me and my guest. A very enjoyable journey through nine unique and tasty courses. We also enjoyed talking to the chefs about each course as they were served. Also, the service was impeccably friendly, informative, unobtrusive and always on top of the service. Highly recommended.